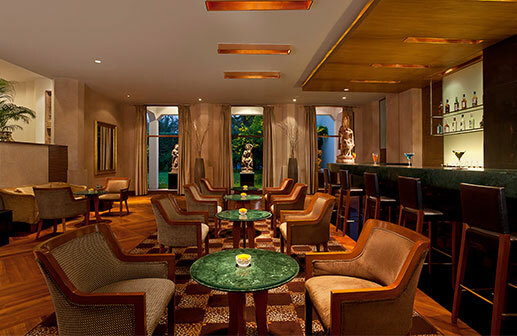 For leisurely evenings in the company of friends, step into The Bar at Trident, Bhubaneswar. Let our bartenders serve cocktails to suit your mood or select from our extensive list of wines and spirits. The Bar is the perfect setting to relax and take life slow and easy, just the way it was meant to be. Our comprehensive drinks menu includes whiskies, classic cocktails, wines, beers, as well as a range of non-alcoholic beverages. The Bar at Trident, Bhubaneswar is open from 12 pm to 12 am for you to relax and unwind with colleagues, family or friends. Tomato and Date Khatta is a classical Oriya dish that is served at special occasions as well as a simple home meal. Made with braised tomatoes and dates, it is tempered with curry leaves and mustard seeds, which add a delicious earthy flavour. This summer, The Restaurant has a deliciously cool selection of home made ice creams with diverse flavours from the herbs and fruits grown at the hotel. Chingudi Bhajja is a traditional Oriya delicacy with fresh water prawns from the Chilka lake. These are marinated in mustard and pan fried. It is also a popular appetizer at The Bar.